Invite guests to your next local event with style! Printed in red and blue, the Indiana Invitation features iconic images of the Hoosier State. Farmland, a basketball hoop and scoreboard, as well as the Indianapolis skyline provide a background for your event information. 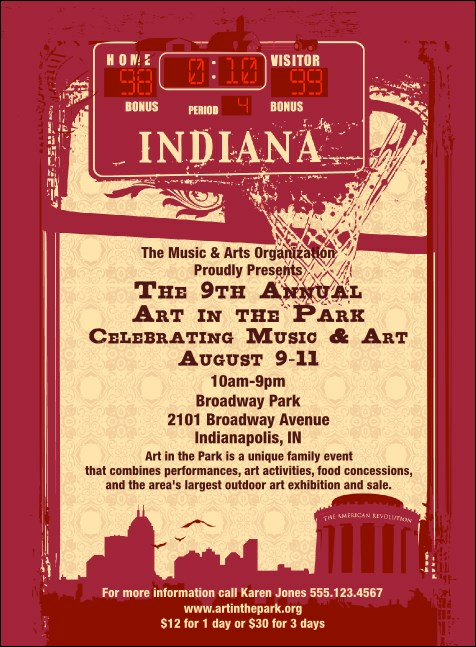 Make your event the pride of Indiana when you use promotional materials from TicketPrinting.com.